When Liverpool sold Luis Suarez in summer 2014, most fans were disappointed but happy with the £75m we recouped for a player who no longer wanted to play for us. That figure was reported by the BBC, who are to be trusted, but it turns out they over exaggerated the fee – potentially because Liverpool provided false information. Football Leaks, who get hidden information about transfers, suggest the actual fee was just £64.98m – £10m less. And what’s more, Barcelona have only had to pay the fee in small sums, and are still due a further payment. The exact structure is as follows: – £13m on 31/7/14, £13m on 31/1/15, £13m on 31/7/15, £13m on 31/1/16 and £12.98m on 31/7/16. Disappointingly, there’s no bonus clauses if Barca win competitions or if Suarez picks up the Ballon d’Or. 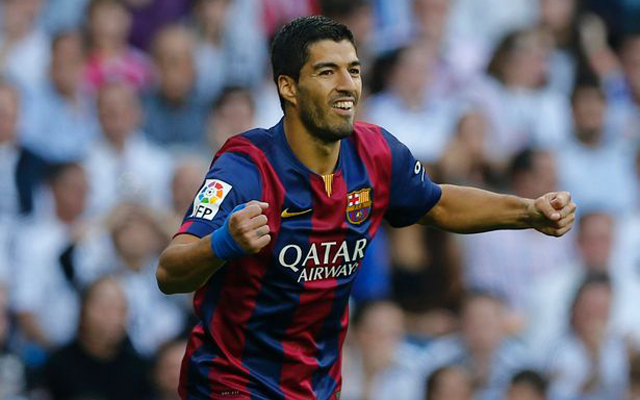 Since arriving at Camp Nou, the Uruguayan has been nothing short of sensational. Not only has he seemingly learned his lessons from the bans following his bites, but if anything – he’s actually got better. Already this term he’s scored 43 goals, following up from the 25 he notched last term which helped Barca win a treble. In fact, if it wasn’t for Lionel Messi alongside him, he’d likely be considered the best player in the world on current form. Naturally, Liverpool fans took to the internet to complain about the £65m – not an especially ludicrous sum by today’s standards. Liverpool lied about the Suaréz fee. It just shows clubs tell fans what they want them to believe. PR spin. Football leaks exposing them. The biggest mistake in Liverpool’s history was forgetting about that extra zero in Suarez’s transfer fee. Why did you lie to your fans @LFC? Luis Suarez for less than 65 mil?! Those catalans robbed us! So we (@LFC) were actually robbed by @FCBarcelona for Suarez..
Why did y’all at @LFC lie to us about the fee being £75m? ?